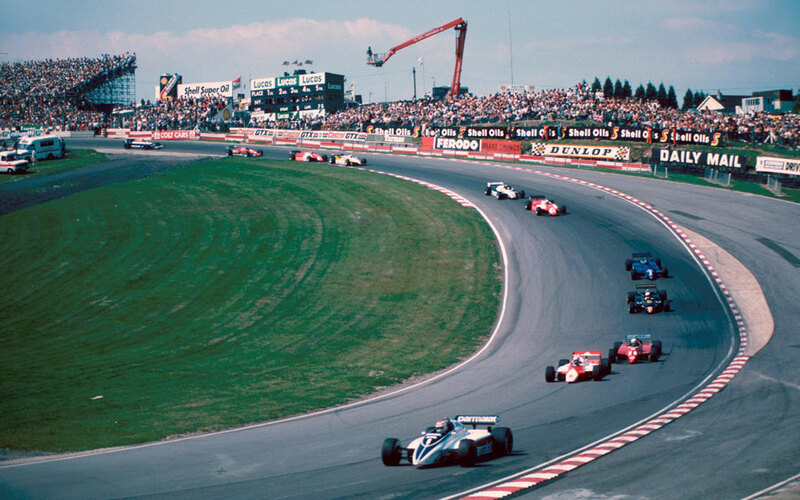 Niki Lauda showed that the three-litre engines could still outperform turbocharged ones with victory in the British Grand Prix at Brands Hatch, leading home Didier Pironi by almost half a minute. The home crowd came hoping to see John Watson, who came into the weekend leading the drivers' championship, extend the gap over Pironi, but his race was over within two laps when he was involved in a collision with Jean-Pierre Jarier and Chico Serra. The Brabham team was set to implement refuelling pit stops for the first time, an opportunity to see if an advantage could be gained by running half-tanks, pulling out a gap and then pitting for more fuel and fresh rubber. Within six races it was the norm. Keke Rosberg started on pole but failed to start the warm-up lap because of a problem with fuel pressure and eventually started from the back of the grid. His day got worse when he damaged a skirt on his Williams avoiding the crash that accounted for Watson, and then when the fuel pressure problems returned he called it a day. Nelson Piquet roared into an early lead, his strategy of starting with a low fuel load and hoping to build enough of a lead to cushion him against the inevitable pit stop working for ten laps before he retired with mechanical issues. Thereafter Lauda sailed into the lead and on to victory. Behind him the crowd were stirred into life by Derek Warwick, who passed Pironi to take second in his Toleman-Hart and for 20 minutes led the chase until a halfshaft broke midway through the race. Ferrari closed out the podium when Patrick Tambay passed de Angelis when he ran out of fuel and claimed third. "I always felt I was in command," Lauda said.